TOKYO (Reuters) - Japan will extend unilateral sanctions against North Korea by two years, public broadcaster NHK said on Wednesday. Japan will extend a trade embargo on North Korea and a ban on North Korean ships entering Japanese ports by two years, according to the report. The government is expected to approve the extension at a cabinet meeting early next month, NHK said. 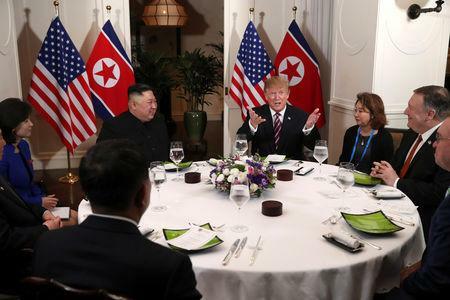 The decision would come after a second meeting between U.S. President Donald Trump and North Korean leader Kim Jong Un last month collapsed over differences on U.S. demands for Pyongyang's denuclearisation and North Korea's demand for sanctions relief.